This is a guest post from STEM Kids Chicago contributor Brandie Langer. This post contains affiliate links and originally appeared on STEM Kids Chicago. 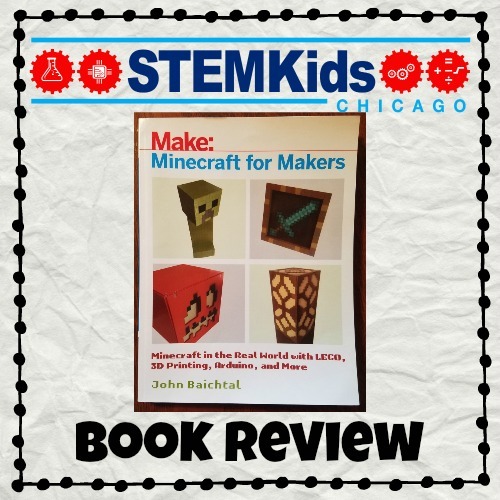 When I got my hands on John Baichtal’s book Minecraft for Makers: Minecraft in the Real World with LEGO, 3D Printing, Arduino, and More! (affiliate link), I knew it was a book both my son and I would enjoy, and I was right! My 11-year-old son is a Minecraft addict, as are many of his friends. Not only does he play Minecraft for hours, but he watches other people play Minecraft on YouTube for hours as well. Personally, I don’t understand the appeal of watching other people play a computer game. (Then again, he doesn’t understand why I love watching other people knit. I thought the instructions were easy and nice to follow. The chess pieces weren’t too hard to make and they looked very cool. 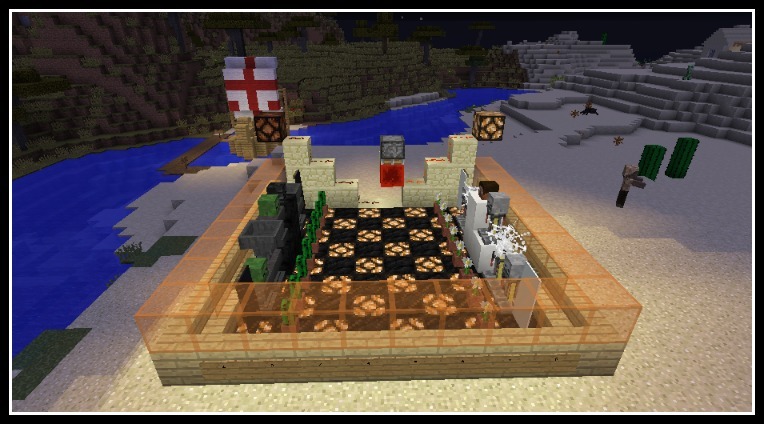 The chess board is cool because you can switch up certain blocks to make a theme to match your biome. You can also customize your chess pieces in any way that you would like, but the base will remain the same. After he made his in-game fun chess set, we set out to work on the LEGO activity together. We modified it a bit as we didn’t have the colors to make the exact block in the book, so he found another block in his game that we could recreate. This shows the strength of the book. You can start with Baichtal’s instructions and use them as a jumping off point to begin creating your own things. We found Minecraft for Makers easy to understand and follow. Baichtal writes clear instructions that not only my 11-year-old understood, but this mom understood as well! We were able to build on the instructions in the book to create other things as well. The variety of projects in here is great as well. With both in- and out-of-game activities, the book is well-rounded. 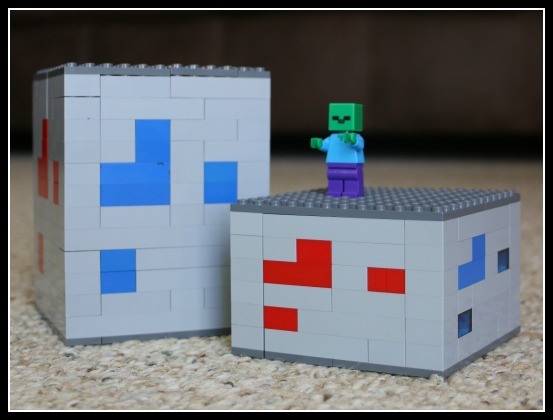 Some of the projects require only LEGOs and basic building skills. Others are woodworking projects. The lamp pulls in some electrical work, and there’s a whole section dedicated to Arduino projects. Both of us enjoyed this book tremendously. Let’s be honest, anything that makes my child excited to walk away from his computer without groaning and whining is a win for me! We can’t wait to dive in and try more activities as well. Overall, we really enjoyed Minecraft for Makers and highly recommend it for anyone who loves Minecraft and wants to also bring it out of the computer!